Congratulations To Our Female Football Team For Winning the Northern Regional Championship 2017. Let's Go To The Nationals!! 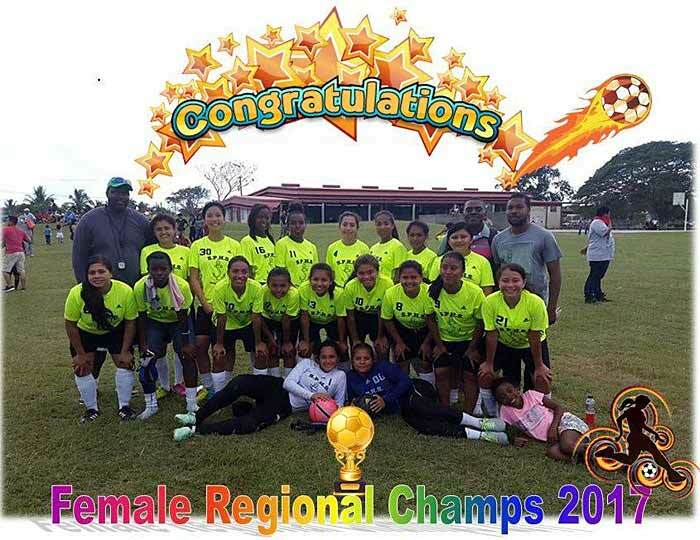 The San Pedro High School (SPHS) female football team returned to La Isla Bonita as the Northern Regional Football Champions for 2016-2017. 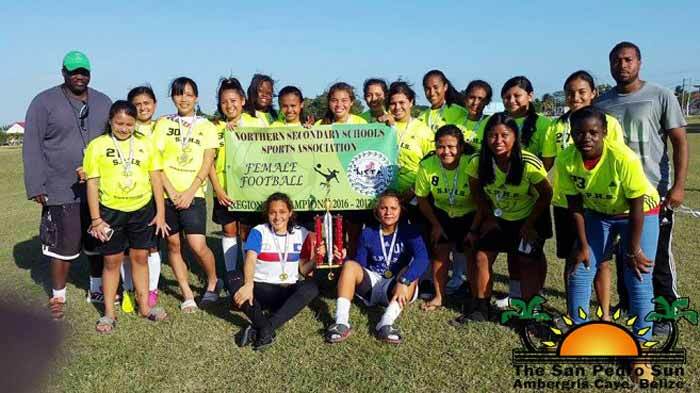 Through the National Secondary Schools Sports Association (NSSSA), both male and female football teams of SPHS competed against neighboring schools on Saturday, February 4th in the Corozal District. Coach Alex Noralez was more than excited over the girls’ win, and explained the setback with the SPHS boys. “The girls were locked in from the beginning, and they knew what they wanted. I am very proud of them, and their hard effort they put into the games. I believe the males were prepared, but because of not being fully concentrated, it cost us the game. They had many mental collapses after the second half. We were back to back champions, and we came out thinking it was going to be granted to us again. All we can do is learn from our mistakes and try harder next time,” said Noralez. Noralez also dedicated the win to his fallen friend, and god-brother, Felix Ayuso. “It was difficult for me being in Corozal knowing that they were burying Felix. There’s nothing much I was thinking other than being with his family. I think the least I could do is dedicate this win to him. He really supported me. He would call me up now and then to see what I was doing. Even when I was bickering with someone on Facebook, he would advise me to take it down. So this win is just in memory of him,” said Noralez.